LWP has provided a range of inputs to the collaborative stakeholder (Whaitua) processes being undertaken by GWRC. 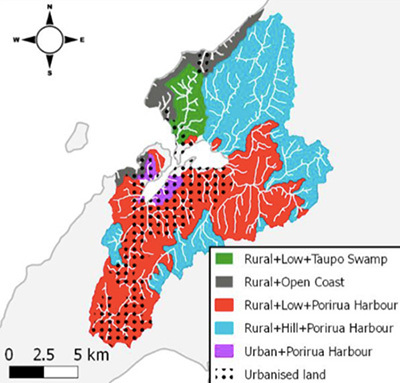 We provided input into the development of the modelling frameworks in Ruamahanga, provided design and delivery assistance in Porirua for the integrated framework of multidisciplinary models and assessments including biophysical, social, cultural and economic components, developed draft FMUs classification in both Ruamahanga and Porirua, and provided economic input on the impacts of potential mitigation measures. We have provided ongoing assistance on how to integrate modelling with collaborative stakeholder engagement to provide coherent information for decision makers and planners. Proposed water quality management classes (left) and FMUs (right) for the Ruamāhanga Whaitua. Draft management units for the Te Awarua-o-Porirua Whaitua.